Many hospitals struggle to optimize Medicare Bad Debt (MBD) reimbursements because of the differences in billing processes across the three types of MBD. Fully understanding these differences can help your hospital identify all available MBD opportunities for maximum reimbursement, all while providing affordable, high-quality care to patients. One type of MBD includes patients who are dually eligible for Medicare and Medicaid. A Medicare bad debt opportunity arises as Medicaid often will not cover the entire Medicare coinsurance or deductible. Since Medicaid is the payor of last resort and the hospital should not bill the patient, the balance becomes bad debt. Nationwide, about 60% of MBD cases fall into this category1. It’s crucial for crossover bad debts to be analyzed on a state-by-state basis since these bad debts follow state-specific rules. This means you need to understand how your state’s Medicaid program pays secondarily to Medicare. If you’re not receiving correct explanation of benefits, or if you’re looking at a denial in terms of an adequate bad debt, you might be out of compliance for the crossover section. Traditional or “valid effort” bad debt includes patients who have Medicare as their primary insurer, with no secondary insurer — and who may have been sent to a collection agency. In valid effort cases, it’s crucial your organization’s collection policies and business office procedures are in lockstep with each other. If you aren’t closely following your policies, a Medicare Administrative Contractor (MAC) will likely notice issues as they review your MBD submission. 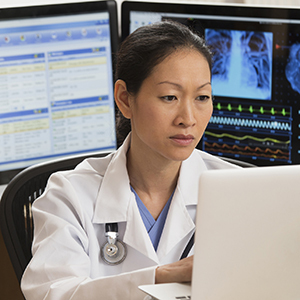 Timely patient billing is critical because MACs closely examine your billing process. You need to regularly send bills to the patient with progressively stronger language regarding the need for payment. Consistently collecting against Medicare and non-Medicare patients is important for succeeding with valid efforts. You must return accounts back from collections and deem them uncollectable in your patient accounting system for both types of patients for them to be considered valid bad debts. People on financial assistance programs: It’s important to test for assets that can be converted to cash (which aren’t necessary for the patient’s daily living), as well as liabilities, expenses and income — before the hospital signs off on the patient’s application. Review these applications annually to verify the patient’s financial situation hasn’t changed. Patients who are bankrupt: In these scenarios, and depending on your policy, you might not need a financial application. These can be considered potential bad debts. People who are deceased but don’t have an estate: If the deceased has an estate, you must bill the estate in accordance with CMS regulations. If there isn’t an estate, you’ll need verification from the probate court to prove one doesn’t exist. At that time, these scenarios will potentially be eligible for Medicare bad debts. Learn how TransUnion Healthcare can help you maximize reimbursement across all three types of Medicare Bad Debt.